Many thanks to everyone who came to The Chapel and all those who helped us put the show on. We really do appreciate it. Below are some comments from the audience with a full press review at the end. 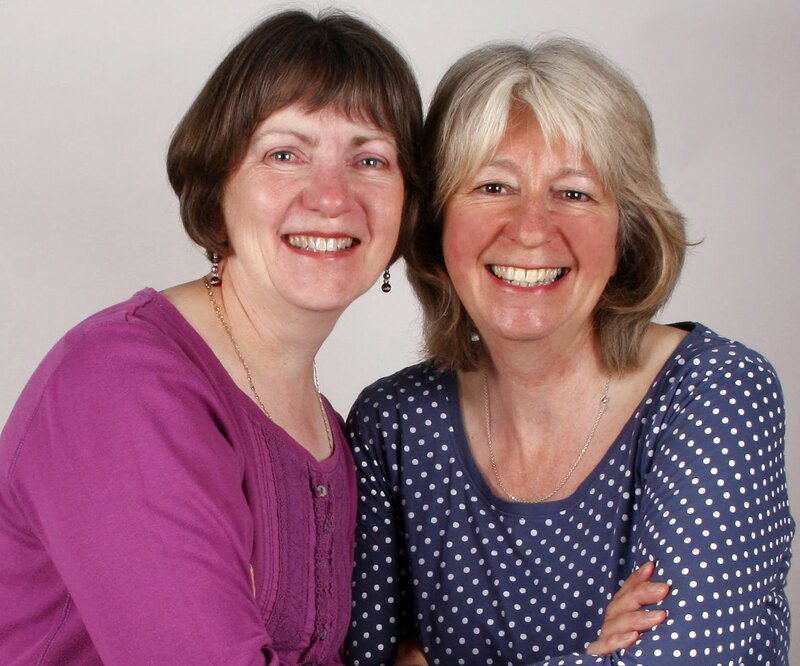 Returning to the scene of their debut last year local writing and performing duo Lippy Logic succeeded in entertaining a packed house with their now trademark mix of comedy and drama. 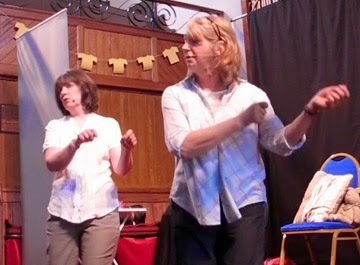 Lippy – Veronica Caperon and Logic – Christine Hooley – leapt on stage to introduce us to their show with a pun filled musical overview of festival headline acts which had the audience dancing and singing within a matter of minutes. 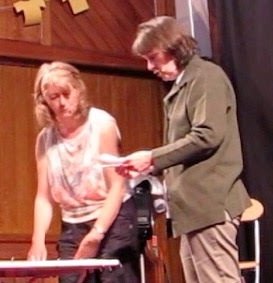 The newly written dramatic piece ‘photographing kites’ followed and whilst we’d been warned that it dealt with difficult subject matter, nothing could prepare the audience for the emotional punch as Gill and Sally’s story was revealed over 4 scenes. The actors convinced us of their mother daughter relationship and the misunderstanding that had prevented them supporting each other through their bereavement. Their reconciliation scene was genuinely heart-breaking and had the audience in tears. After the interval we were treated to ’Les Dames du Tour de France’ on the côte de Buttertubs enjoying a French feast whilst waiting for the pelican – that’s peloton to cycling fans. 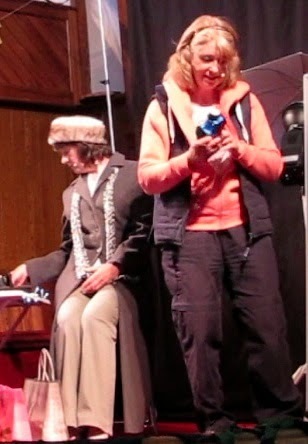 A mix of Allo Allo and cycling for beginners the audience lapped it up! – it appears I’ve caught Lippylogicitis. 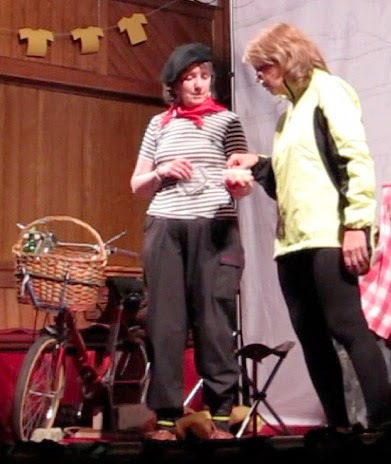 A highlight was the audience singing frère Jacques in the round reworked to reflect the effect of a sea of lycra clad pédaleurs on the locals –I shall never look at a plastic picnic plate the same way again. 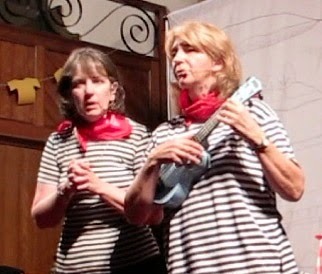 As in the previous performance the acting was complemented by the props, costumes and soundtrack. The finale was a comical new theme song ‘Now that We’re Fifty’ extolling the advantages of being fifty....ish to the strains of the ukulele performed with gusto by LL and their audience. As they say in their signature song “they’re feisty and flighty”‘ – looking forward to next year’s entertainment already. Thanks very much again for all your support!